As part of my daily exercise regimen, I walk around my neighbourhood. Generally I walk to my local shop and have a browse in the Charity shop next to it. Now I’ve been getting faster and faster at these walks and my back is slowly but surely getting used to them. Today, however, my walk did not go quite the way I envisioned it. For years now, I have not eaten breakfast when I wake up in the morning. I don’t as a rule eat “brunch” either if I’ve overslept. As I am not a cheerful early riser nor am I what could be called a “morning person” I cannot stand the idea of eating after I’ve just awakened from a deep sleep. Which means that I usually subsist on two meals a day and the odd snack. This has always suited me right down to the ground. Until after the heart attack. Because my body is still “healing” itself, it’s obviously using a lot of energy to do so. This extra calorie burn is great, I’m actually thinner than I’ve been in years. But because of this “constant” energy usage by my bodies self-generation of cells and so on, my energy level is lower than what I’ve always assumed was normal. 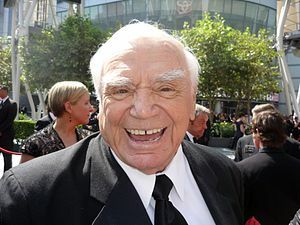 This morning when I got up, after a fascinating dream about meeting Ernest Borgnine in Hot Springs Arkansas, I had my usual two cups of coffee with milk and sugar. I then did pretty much what I do every morning; I read my mail, checked my e-mail and because it’s Friday today, I did my Twitter shout-outs. I then decided to have my walk early today. I threw on my “outside” clothes, got my boots and hat and went striding out the door at a fairly moderate pace. I felt great until I reached my local shop. I had detoured by the Charity Shop (and still felt fine) and then went in to get a few things. By this time I started feeling a bit shaky. My energy level dropped below basement level and it was a struggle to collect, purchase, and bag my few items. As i walked shakily out of the shop, I realised that I’d not had anything to eat. Obviously, the two coffees I’d gulped down earlier were not sufficient to keep me going. With a sigh of defeat, I took the bus back to my house. After having a lovely repast of two granary rolls with ham, cucumber and coleslaw (light coleslaw I might add) and a multivitamin, my energy level began to climb back up. While cleaning up my dishes, I realised that I was going to have to change the eating habit of a lifetime and start having three meals a day. Earlier in the week, I’d been having two crumpets in the morning and then two other small meals later in the day. At no time during the first days of the week did I feel week or shaky. I’d already changed my diet after leaving the hospital. Cutting way back on my meat consumption, cutting out most saturated fats, eating foods high in antioxidants, et al. But I did not change the number of times during the day that I stoke up the old energy engine. As I’ve always managed to cope quite well with the amount of meals I’d eaten most of my adult life, I saw no need to change this particular habit. But obviously I should have. Sitting here writing this post out, I’m still a bit tired and will probably take a short nap to allow my body to re-charge itself after my quick energy draining walk this morning. It’s hard to remember to play by the “new” rules after you’ve had a “life changing” event. But I like to think I’m smart enough to learn from my mistakes. At least I hope I am. I’m sure that most of you out there are smart enough to not be so “unaware” of what you need to do to keep your self healthy and well, but just in case you are, like me, a bit slow on the uptake, remember to change not just what you eat, but when and how much. It might not make you live any longer, but it may save you the internal embarrassment of having to take the bus back on your healthy heart walk.